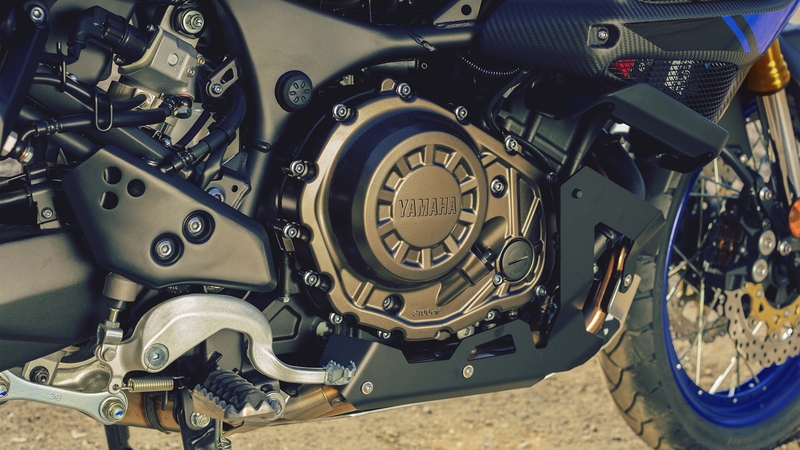 The slim and immensely powerful 1199cc liquid-cooled inline 2-cylinder 4-stroke engine delivers massive levels of torque for instant roll-on acceleration. 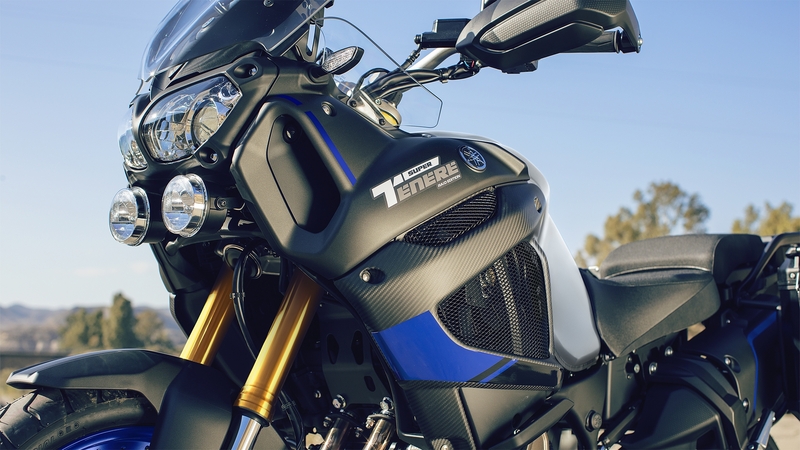 Refined engine internals boost power to 112PS (82.4kW), giving this long distance adventure bike the ability to take you wherever you want to go. The Super Ténéré Raid Edition is equipped with newly designed 37-litre aluminium side cases that give you 74 litres of lockable and weatherproof storage. 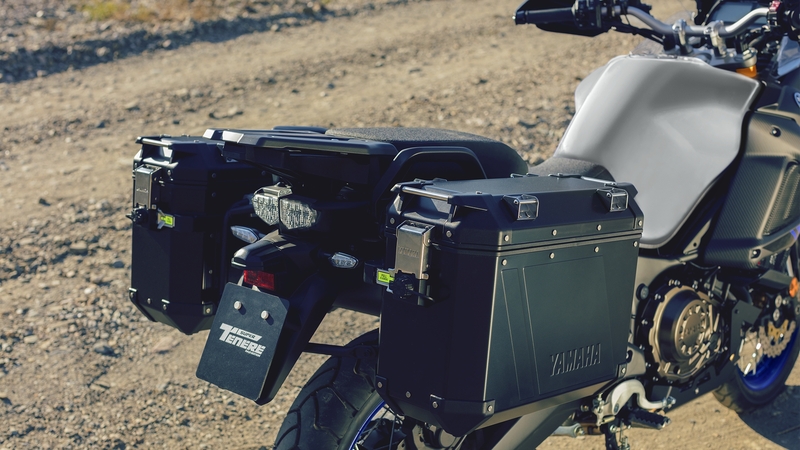 For increased durability, this rugged and lightweight aluminium luggage has corner points reinforced in techno polymer. 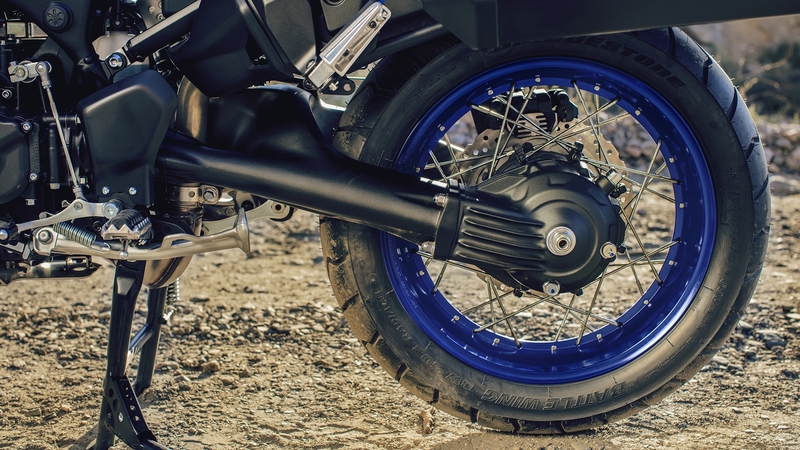 The electronically adjustable suspension enables you to make instant suspension adjustments while on the move. 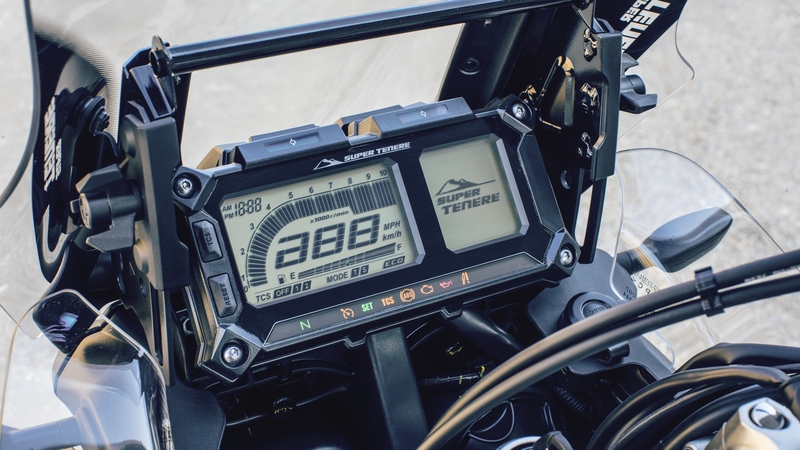 This easy-to-operate system is controlled by a multi-function handlebar-mounted switch and offers a total of 84 different settings to suit every road and off road riding situation. 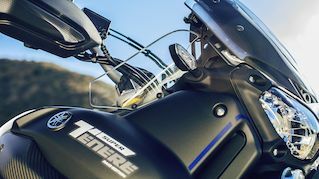 For high levels of weather protection the exclusive Super Ténéré Raid Edition is equipped with a high windscreen and wind deflectors – and with fog lamps fitted as standard, the XT1200ZE Super Ténéré Raid Edition has the same 4-lamp face design as Yamaha's rally race bikes. The intelligent unified braking system gives the rider total control over a range of road and off road surfaces. 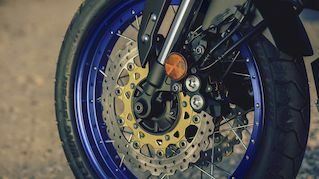 Pulling the front brake lever first activates the unified system, while touching the rear brake first gives you individual control over the front and rear brakes. D-MODE offers the choice of two different mapping options. “T” (town) mode gives a more relaxed and easy running character in slower conditions, while “S” (sport) mode delivers exhilarating and exciting performance on the open road. 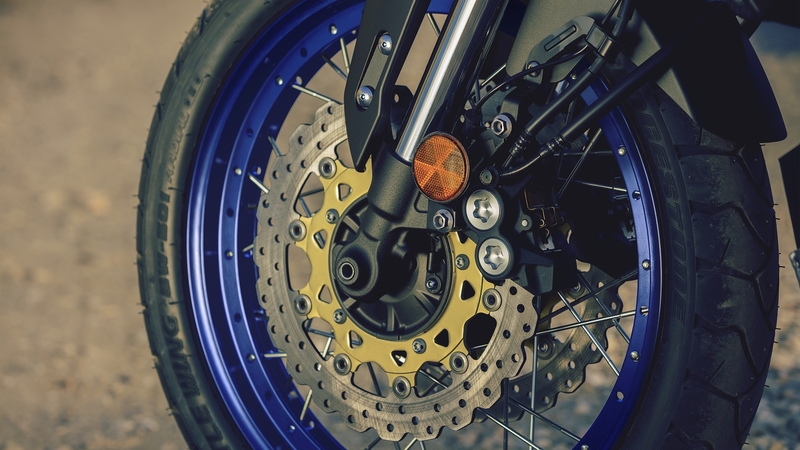 And for more relaxed long distance trips, cruise control is fitted as standard equipment. 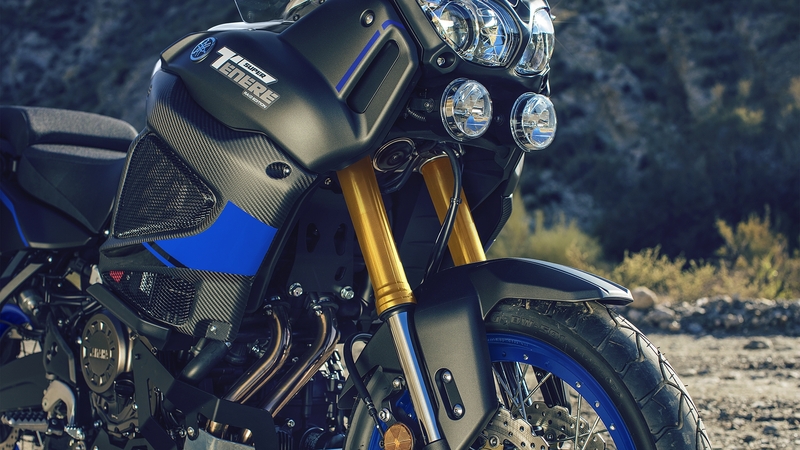 The Super Ténéré Raid Edition is a serious adventure bike that is built for extreme exploration. The slim and deep-sided fuel tank has a generous capacity of 23 litres for an extended riding range, while the tough aluminium spoked wheels run with heavy duty rims and tubeless tyres. 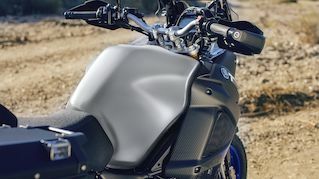 Features such as the electronically adjustable suspension, D-MODE mapping and 3-stage traction control allow the rider to select the preferred mode for the prevailing conditions, and the Raid Edition is also equipped with a 4-step adjustable high windscreen as well as an adjustable seat that can be set between 845mm and 870mm high. 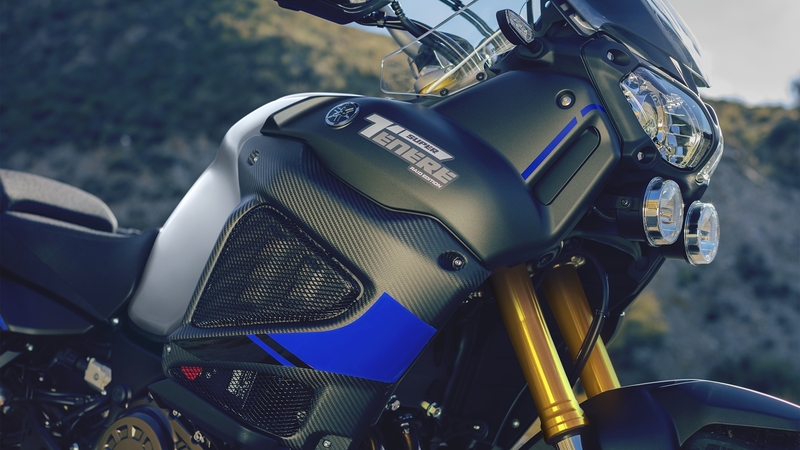 Yamaha's flagship large-capacity long distance Adventure model is a life changing motorcycle that's bult to discover new horizons. Exclusive new graphics on the 23-litre tank as well as on the bodywork give this hugely capable motorcycle a rugged and individual look that underlines its position as the ultimate world-explorer. 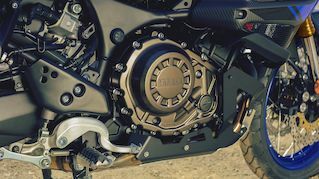 Shaft drive is vital for any serious long distance adventure rider, and the Raid Edition is equipped with a rugged and reliable system that efficiently delivers the huge torque output to the rear wheel. And for increased comfort and durability the latest model is fitted with new rubber clutch dampers that give an even smoother ride. When you're riding off road the tough aluminium skid plate protects the underside of the engine from stones and debris kicked up by the front tyre. 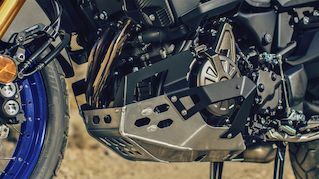 The Raid Edition is also equipped with special side extensions on the skid plate that give extra protection to chassis components in the most extreme off road environments.